We are delighted to welcome “Swift Nick” for the first time at a Ryburn 3 Step Barn Dance. “Swift Nick” is a folk dance band from Derbyshire led by Keith Kendrick on concertina and percussion, with Sylvia Needham on Banjo/Ukulele, Benammi Swift on Melodeon and Pete Bullock on bass saxophone and piano. The Caller will be our own Pauline Jones, from the heart of the Ryburn Valley. 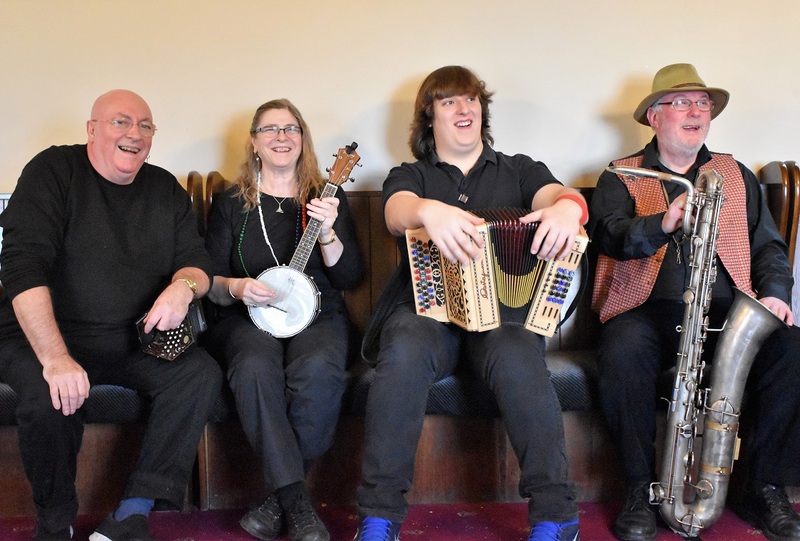 Pauline has been calling for folk dances for over 25 years and, together with “Swift Nick”, will be leading us in a fine night of dancing at the Waring Green Community Centre.